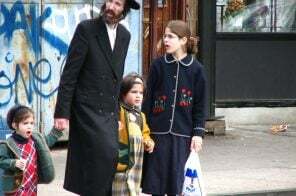 Few places on Earth have attracted more or a broader array of activists and agitators for social change than Greenwich Village. 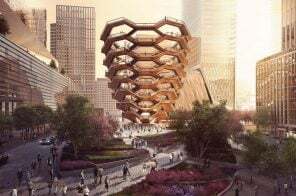 And much of that activity took place right in the heart of the neighborhood in the Greenwich Village Historic District, where that rich history has been preserved through landmark designation for the past half-century. 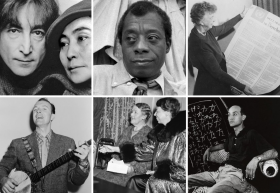 Here are just a few of the many who lived within its bounds and toiled to make the world a better or more just place. 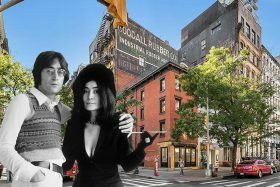 John Lennon and Yoko Ono never lived at this Tribeca townhouse—it’s well known they preferred the Upper West Side—but they certainly have a unique connection to it. Here’s the story, per the New York Times: in 1973, Lennon and Ono announced the birth of Nutopia, “a conceptual country” with no boundaries and “no laws other than cosmic.” Mr. Lennon, who was being threatened with deportation because of a 1968 marijuana conviction in England, was seeking diplomatic immunity and United Nations recognition as a Nutopian ambassador. The iconic couple gave 1 White Street as the embassy address. Hotel Chelsea had the Warhol “superstars”, 740 Park Avenue has been considered the most sought after address in the world for 70 years, the San Remo boasts a rotating roster of celebrity residents–a lot of New York City buildings have their claim to fame. But none have as storied a past or talked-about current status as the famed Dakota at 1 West 72nd Street. 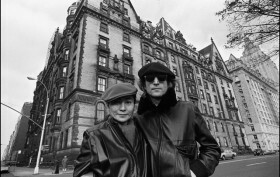 Best known as the site where John Lennon was killed when returning home with wife Yoko Ono, as well as its role in Roman Polanski’s acclaimed horror film “Rosemary’s Baby,” the Dakota’s mythical stature goes much deeper than its spectacular, fortress-like façade and proximity to Central Park. 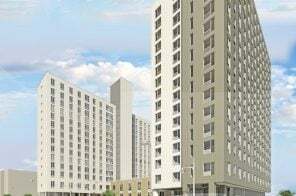 Long a desirable address for artsy celebrities, the building still attracts a slew of A-listers, but the strict co-op board is known to reject even the biggest names.